Mercedes believes the floor damage sustained on Lewis Hamilton’s F1 car in Melbourne was caused while running over kerbs. Mercedes believes the floor damage sustained on Lewis Hamilton’s Formula 1 car during the Australian Grand Prix was caused while running over kerbs. Hamilton finished 20 seconds behind teammate and race-winner Valtteri Bottas in Melbourne, having been overtaken at the start, before floor damage to his W10 hampered his progress. 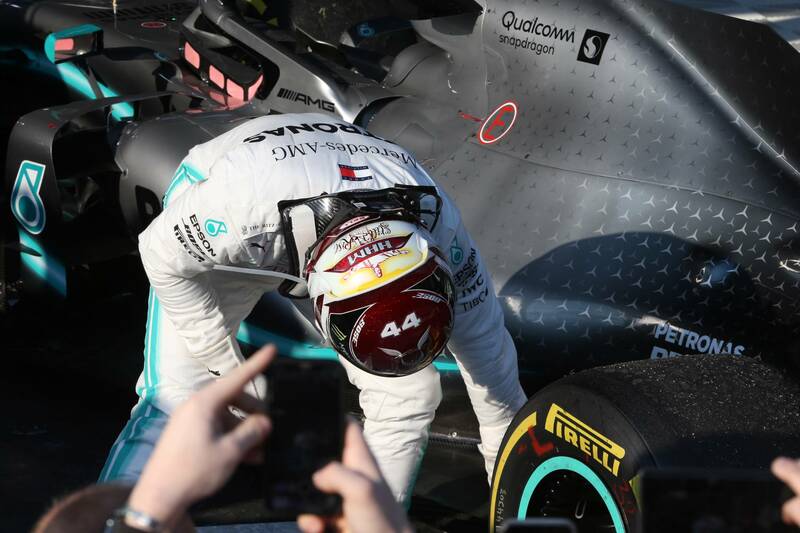 During the team’s first ‘Pure Pitwall’ post-race debrief of 2019, chief strategist James Vowles said Hamilton had done a “fantastic job” to fend off Red Bull’s Max Verstappen and complete a Mercedes 1-2. “On inspection of Lewis’ car after the race, we noticed some damage on what we call the tyre seal area,” Vowles explained. “Lewis already had a very long stint on that Medium tyre after covering off the threat from [Sebastian] Vettel’s undercut, so he was already having to manage those tyres quite significantly, hindering his progress through the race. Vowles also clarified the reasoning behind Hamilton's early pitstop, which he said was to cover off the "severe and genuine risk" of losing a place to Sebastian Vettel's Ferrari. "In free-air, Vettel was very, very fast," Vowles said. "They successfully covered any undercut risk from Verstappen but were also starting to come into Lewis' window very, very quickly. "Indeed, his outlap was already quite a bit faster than Lewis already and that Medium compound had a warm-up slope. What that means is it's quite difficult for the first few sequences of corners, but into the second lap of driving on it, it becomes faster and faster. "So there was a severe and genuine risk that Vettel would be in Lewis' window. We opted to make sure we covered that off by stopping Lewis and giving him enough time on track to deal with the warm-up and understand what he could do in terms of management to absorb that gap to Vettel."